In The Wonderful Wizard of Oz, Dorothy’s three companions all end up as rulers: the Scarecrow of the Emerald City, the Tin Woodman of the Winkie Country, and the Cowardly Lion of the Quadling Forest. In later books, only Nick Chopper’s position endures, as Ozma takes her rightful place as ruler of Oz, and the Lion makes his home in the Emerald City. There are hints that the Lion retained his throne, but he seems to spend most of his time outside of the forest. According to Onyx Madden’s Mysterious Chronicles, he appointed a Kalidah as regent. The Wizard of Oz himself also went from circus magician to ruler, although it’s revealed in Dorothy and the Wizard that this is partially due to the people thinking he’s part of the royal family. In Land, some characters claim he took the throne from Pastoria, but Lost King makes it clear that Pastoria had already been enchanted by Mombi before the Wizard’s arrival. The Wizard did give the baby Ozma to Mombi, but we don’t know for sure whether he knew who she was. It appears that the Wizard and the Scarecrow officially rule only the Emerald City and the surrounding area, although they’re sort of honorary rulers of all Oz. 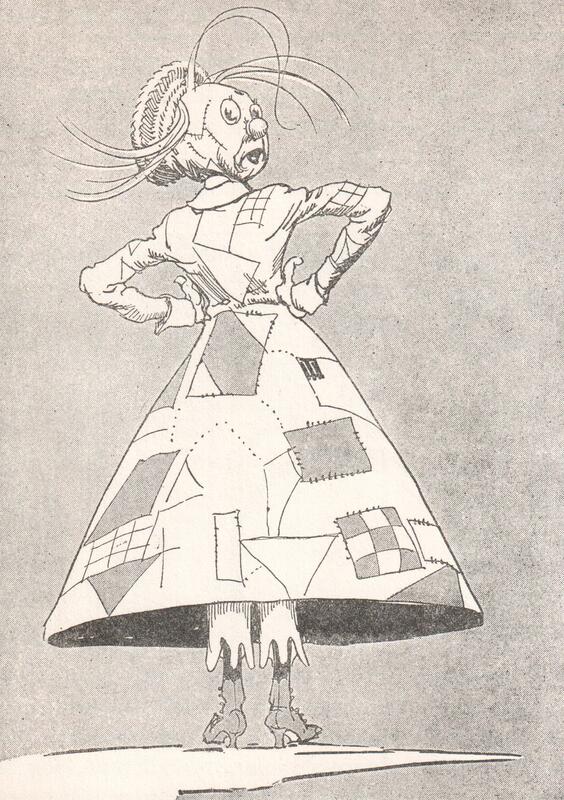 In Royal Book, the Scarecrow claims to have been Emperor of Oz, probably an honorary title. Other non-royals also gain crowns in the Oz series and related books. Bud in Queen Zixi of Ix and Cole in Mother Goose in Prose become kings simply by being in the right place at the right time, due to the odd succession laws in Noland and Whatland. Chick the Cherub takes advantage of a prophecy in Hiland and Loland to get his friend John Dough crowned king. Zog’s old servants make Joe Weedles the ruler of the enchanted castle. Trot becomes Queen of the Pink Country of Sky Island because she has the lightest skin of anyone there, and appoints Rosalie as queen when she leaves. Rosalie’s skin is just as light as that of the old Queen Tourmaline, so the law is adhered to. In Tik-Tok, Ruggedo’s Royal Chamberlain Kaliko is made Nome King by Quox after the dragon drives out the old Metal Monarch. Lady Aurex is elected Queen of the Skeezers in the place of the transformed Coo-ee-oh. Upon leaving the Silver Island in Ruth Plumly Thompson’s Royal Book, the Scarecrow makes his Imperial Punster Happy Toko the new emperor. Scraps spends some time as Queen of the Quilties in Gnome King. When the Wizard of Wutz is turned into a cactus, Ozma makes his servant Nifflepok the new King of the Silver Mountain, although there doesn’t appear to be any particular reason for this decision. The Roundheads of Roundabout make Robin Brown their king because they think he fulfills a prophecy, but he doesn’t want the job. With Ozma’s permission, he is replaced with Sir Greves of Halidom. There are also several countries in the Oz books that appoint their leaders by methods other than traditional royal succession. I’ve mentioned a few of them, but I’m planning on devoting another entry to such places. This entry was posted in Characters, Eloise Jarvis McGraw, L. Frank Baum, Onyx Madden/Jim Nitch, Oz, Oz Authors, Places, Ruth Plumly Thompson and tagged aurex, cap'n joe weedles, chick the cherub, cowardly lion, dorothy gale, dragons, emerald city, glinda of oz, halidom, handy mandy in oz, happy toko, hiland, john dough, john dough and the cherub, kalidahs, kaliko, king timothy of noland, loland, merry go round in oz, mombi, mother goose in prose, nifflepok, noland, nome king, old king cole, ozma, pastoria, patch, patchwork girl, pink country, queen coo-ee-oh, queen rosalie, queen tourmaline, queen zixi of ix, quilties, quox, robin brown, roundabout, scarecrow, silver island, silver mountain, sir greves, skeezers, sky island, the gnome king of oz, the marvelous land of oz, the mysterious chronicles of oz, the royal book of oz, the sea fairies, the wonderful wizard of oz, tik-tok of oz, tin woodman, trot griffiths, whatland, wizard of oz, wizard of wutz, zog. Bookmark the permalink.